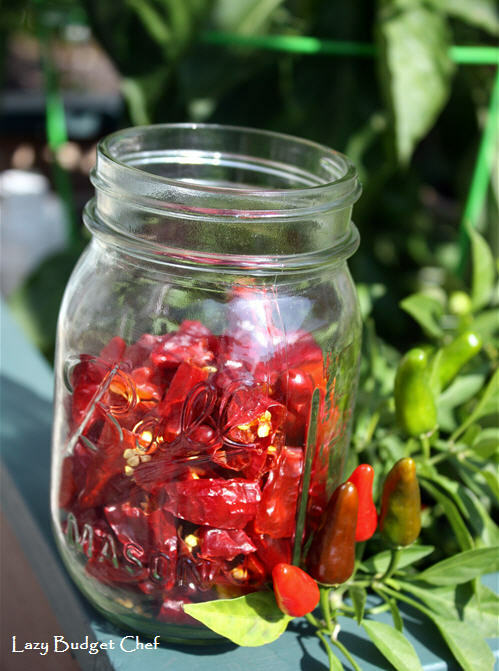 The best way to preserve hot peppers and keep the heat intact is to dehydrate them. Then you have the option of rehydrating the pepper when you want to eat it or use the dry peppers to make spicy hot chili powder. How to Make Chili Powder from Hot, Chili, Jalapeno, Apache, or Habanero Peppers the Easy Way! You may want to wear kitchen gloves while you are handling the hot peppers and powder to protect your skin from the oil in the peppers. Dehydrator – I have a Nesco dehydrator that I love! 1. Remove the pepper stems if you haven't done this already and use the knife to slice the peppers if desired. 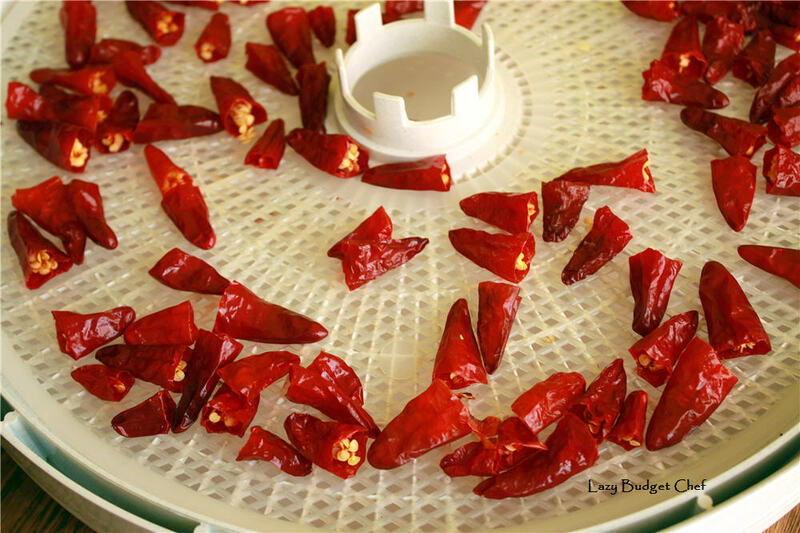 You can remove the seeds if you wish or keep the seeds intact to add more heat to your dried hot peppers. I’m keeping the seeds intact. 2. Dry the Apache peppers in the dehydrator at 145 degrees (F) for 6 -12 hours until the hot peppers are crisp, tough, or brittle. 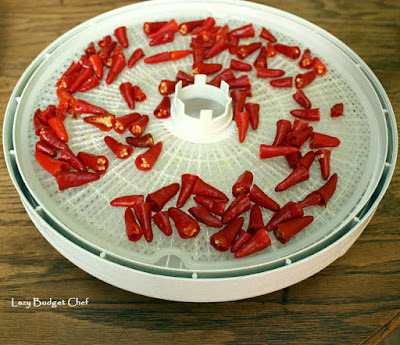 Your drying time will depending upon if you sliced the chili peppers (I didn’t,) the temperature and humidity in your house (late summer is humid here so things take a little longer to dry,) and the amount of peppers you are dehydrating. You can speed the drying time by rotating the trays every four hours if you like. 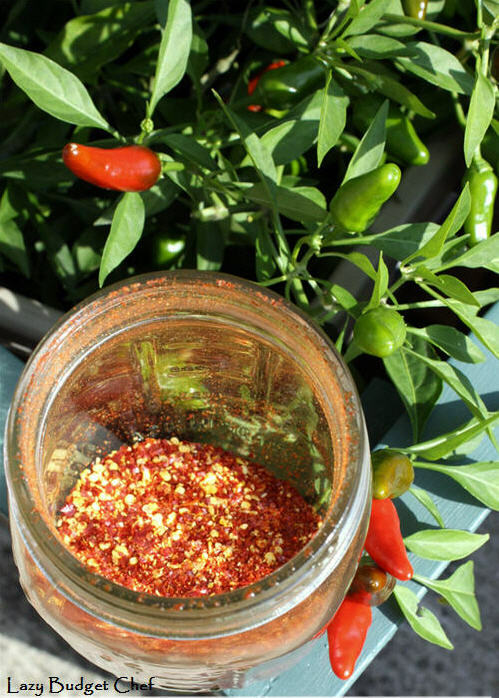 3.When the hot peppers are toughly dry, grind the peppers into a powder using a blender or food processor. Or you can store your dehydrated hot peppers whole in an airtight container. 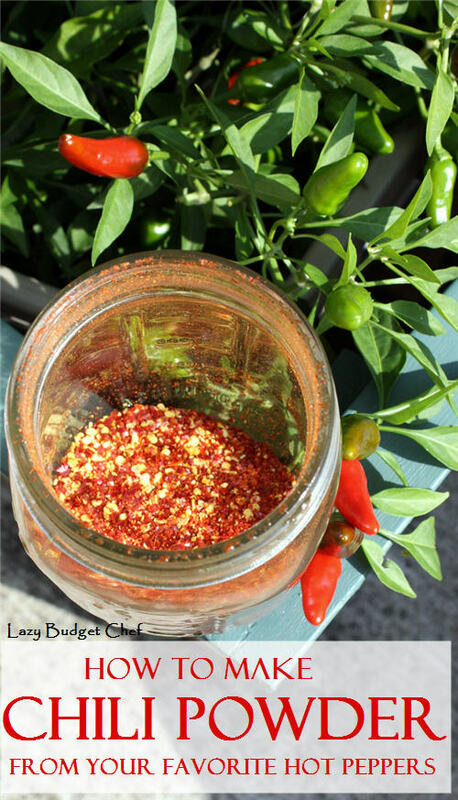 I use a repurposed glass jar because I don't want a plastic container to absorb hot pepper oils. 4. Store the chili powder in an airtight container (I use a repurposed empty glass jar) to use for later! I love how my dehydrator is such an easy and space saving way to "can" food!